Read Exodus 7 – 10 about God demonstrating His power in Egypt. 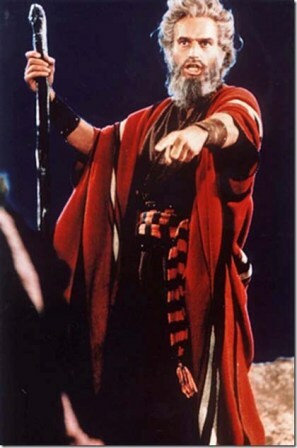 “Let my people go,” Moses said to the mighty ruler of Egypt. But Pharaoh would not. The more plagues God sent through the hands and the rod of Moses and Aaron, the harder Pharaoh’s heart became. Nevertheless, God had a promise to keep. He was in covenant with Abraham, with Isaac, and with Jacob. And God does not break His promise. The story of Israel’s exodus from Egypt highlights God’s power like no other place in the Old Testament. No wonder the man Moses is so revered by the Jewish people. He was the mouth of the Almighty and the hand of Jehovah to bring the most amazing miracles into being. The great land of Egypt began to crumble as one plague after another fell on man, beast, and field. Pharaoh’s servants finally urged him to send the Hebrews away because Egypt was devastated. Yet . . . in the land of Goshen where the Hebrews were living there was a distinction. After the third plague, Goshen and God’s people appear to be exempt from all the other horrendous acts of judgment. Their Redeemer was nigh. And God was declaring Himself out loud. To Pharaoh and his countryman, He showed Himself as the all-powerful Lord over all. The many deities they served were silent and powerless before Him. To the Israelites, He showed Himself as Yahweh, I Am, the self-existent One who needs no other. He alone would be their Savior and Deliverer. He would prove that His word is faithful. The events in Exodus draw a picture of what would come. The shadow becomes clearer as we view it through the lens of the New Testament. God said He would redeem His people from slavery and set them free. With great acts of judgment and a mighty outstretched arm He revealed Himself and chose to take them to be His people. Thousands of years later, the Redeemer came in flesh as a helpless babe. He was the God-man who took the judgement and wrath for our sake. He did it so we could be the Father’s children. Only this time His outstretched arm was on a cross. Revised and re-posted from March 2014.